Cadbury have three new baking mixes on the market. Would you believe all of them are chocolate based? Yes, the Brummy Behemoth gives us more of what it does. The chocolate brownie corner of the market is all but full: a new product would really have to stand out to make inclusion worthwhile. There is nothing of note with this kit. Add an egg, some oil and water. Bake. Need more information? 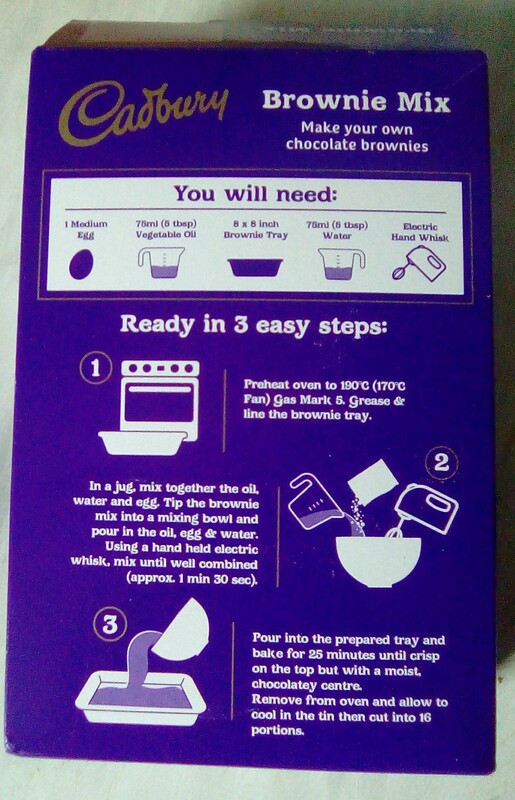 The back of the box puts it better – just make sure the baking tray you use is properly non stick (I know, there isn’t a laminated cardboard tray with this kit). I was expecting a full-on Dairy Milk flavour from these little delights but what I got was an insipid hot chocolate type cop out. Okay, Cadbury seem afraid of cocoa but in baking, a good and lasting twang of it is required. Hmm. The brownies crackled as they should and look the part. If only they tasted better (or at least of chocolate). If this was a school report, Cadbury would be facing one week’s detention for dumb insolence. Must try harder. 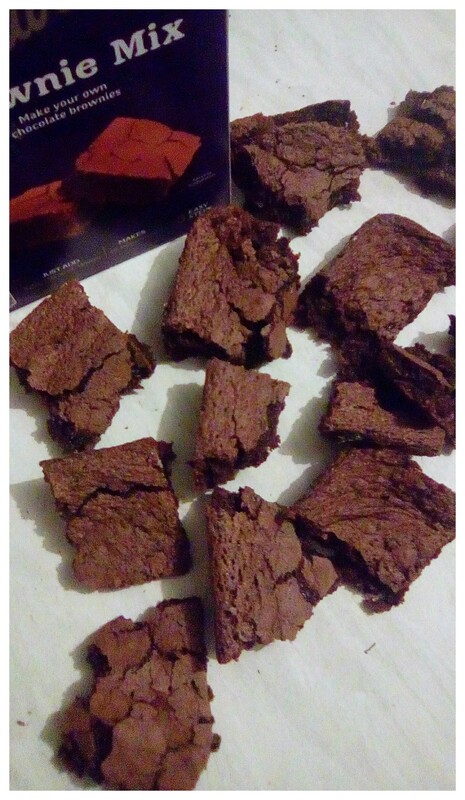 Yes, another disappointing brownie concoction. Should I review the other two cake mixes in the range?